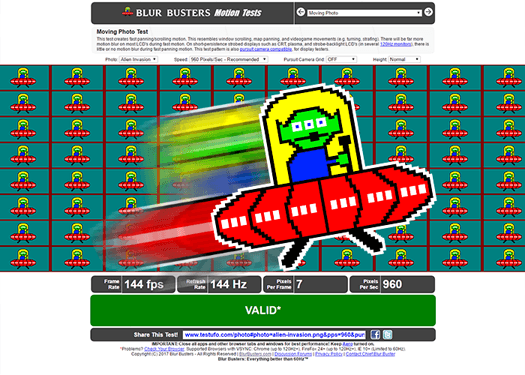 For the first time ever in Blur Busters history – the “FreeSync” and “G-SYNC” tags are labelled onto the same graphics driver! 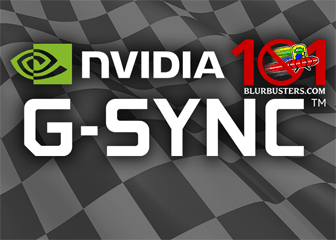 The brand new NVIDIA driver that provides G-SYNC compatibility to FreeSync monitors has now been released. You can download the new 417.71 drivers within your GeForce Experience that you already have installed. If you don’t have GeForce Experience, go download it via NVIDIA’s website. Connect monitor via DisplayPort cable. 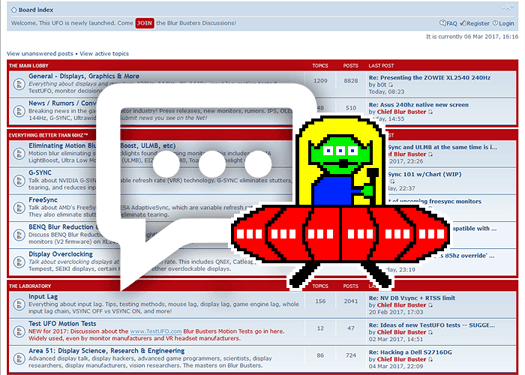 Enable FreeSync in your monitor menus. Enable “G-SYNC Compatible” via NVIDIA Control Panel. 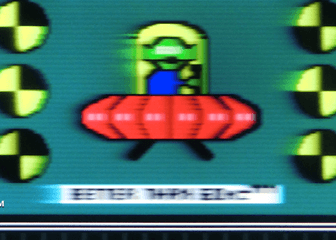 Now you’re playing variable refresh rate on a GeForce graphics card onto a FreeSync monitor! As long as the panel is adaptive sync compatible over the DisplayPort cable, it should now work. 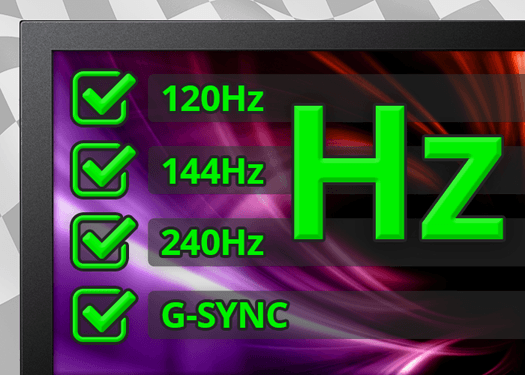 NVIDIA has found only 12 monitors as being high quality to be considered G-SYNC compatible. However, the good news is the driver is not locked to those monitors! We are pleased to report that this driver appears unlocked for any FreeSync monitor connected via a DisplayPort connection. This bodes well for upcoming VRR 4K OLED televisions! 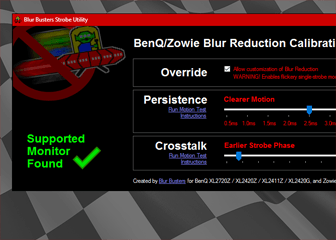 You can test this driver on most FreeSync monitors. However, some caveats apply. Quality may be lower than native G-SYNC. Unlisted and uncertified monitors may not generate as good quality an experience as full G-SYNC, especially those with narrow FreeSync ranges (skimpy 40Hz-60Hz ranges) which will look worse than a wide range of variable refresh rate (generous 48Hz-240Hz ranges). Low frame rate compensation may be missing. 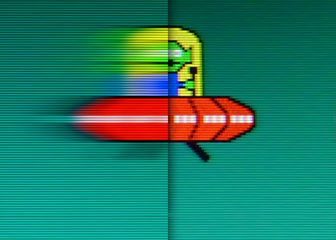 Overdrive ghosting can vary much more on lower-quality adaptive sync monitors, ULMB motion blur reduction features may not be available, and the eye candy of G-SYNC HDR may not be available. 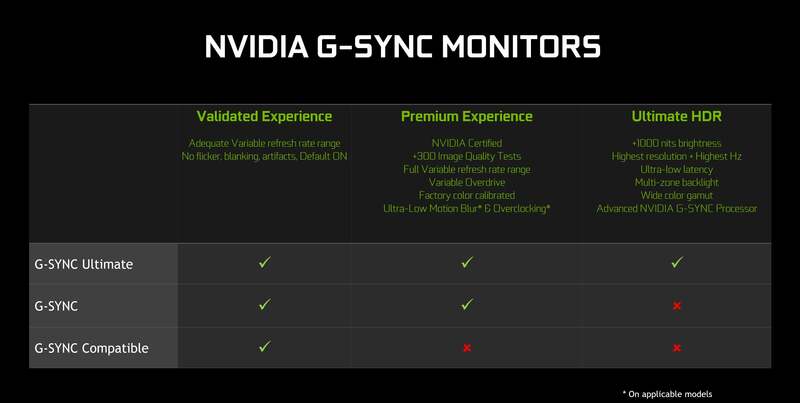 The good news, is that as long as you’re using the NVIDIA recommended FreeSync monitors, the experience is great enough to be considered “G-SYNC Compatible” by NVIDIA.